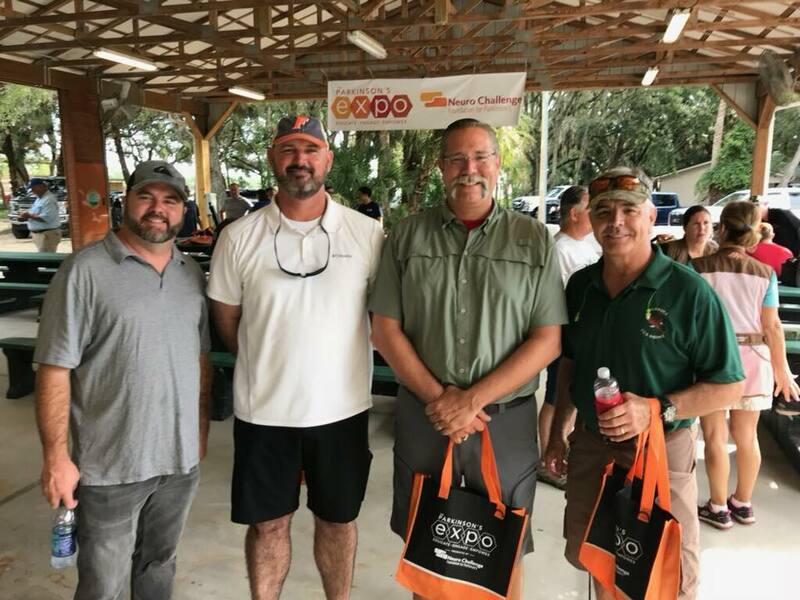 Community First: Neuro Challenge Foundation - Michael A. Gilkey, Inc.
Michael teams up with Nathan Cross, Lloyd Morgan and Cliff Scholz to participate in the Neuro Challenge Sporting Clay Challenge, September 2018. In this edition of Community First, we celebrate the work of Neuro Challenge Foundation for Parkinson’s, a local non-profit organization dedicated to improving the quality of life of people with Parkinson’s and their caregivers. We have supported Neuro Challenge since its inception, in honor and in memory of Mic Gilkey, our company’s founder and father, who lived well with Parkinson’s until 2012. Neuro Challenge Foundation for Parkinson’s serves more than 2,700 people affected by Parkinson’s each year in the Sarasota and Manatee community, and all of their programs and services are provided at no charge. They strive to achieve their mission by providing people with Parkinson’s and their caregivers with “A Better Approach to Parkinson’s.” This philosophy includes care advisors, monthly educational and support programs, distinguished speakers series, health care provider education, and special events, including The Annual Parkinson’s Symposium and The Parkinson’s Expo. Cause 4 Hope is the annual Gala benefiting Neuro Challenge Foundation for Parkinson’s. It’s an elegant evening with dinner and dancing that will bring together family, friends, business leaders, in support of the Parkinson’s community. This year’s event takes place on March 9th at Michael’s on East, and will feature a live auction showcasing amazing experiences from generous donors. Tickets and sponsorship information are available here. The annual Parkinson’s Expo will take place at the Bradenton Area Convention Center on April 13 from 9am to 3pm. This day-long event is designed to educate, engage and empower the Parkinson’s community. The Expo will comprehensively address the needs of people with PD and their caregivers by offering high-quality, important information presented by nationally renowned experts in the field. The Expo will also feature product demonstrations, a myriad of resources, and continuing education for physicians and clinicians to learn more about treating their patients with Parkinson’s. This event is free of charge. More information can be found here. Michael A. Gilkey, Inc. is proud to have supported Neuro Challenge in many ways, through volunteering, board membership, committee participation, chairing events, and donations and sponsorships at their annual fundraisers. 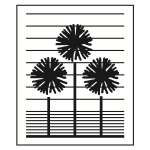 To learn more about this organization, please visit their website here. 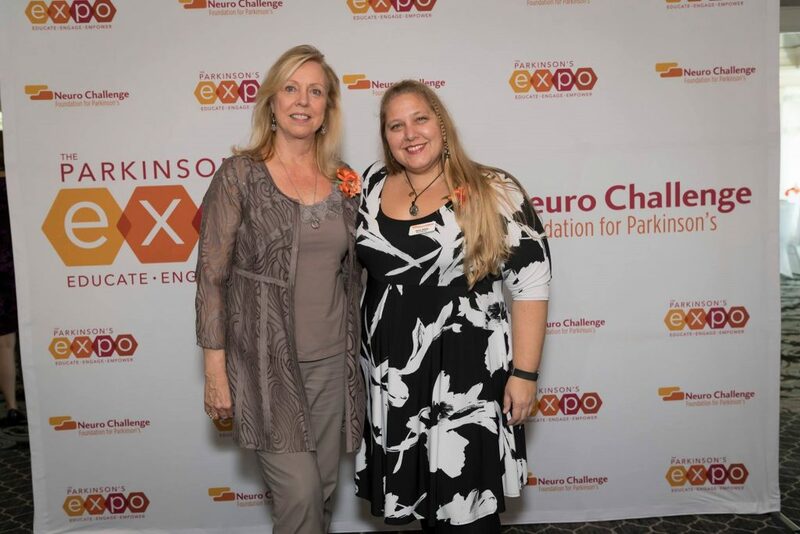 Kathy Gilkey and Gana Gilkey are honored at the Neuro Challenge Volunteer Appreciation Luncheon, November 2018. Photo by Cliff Roles.